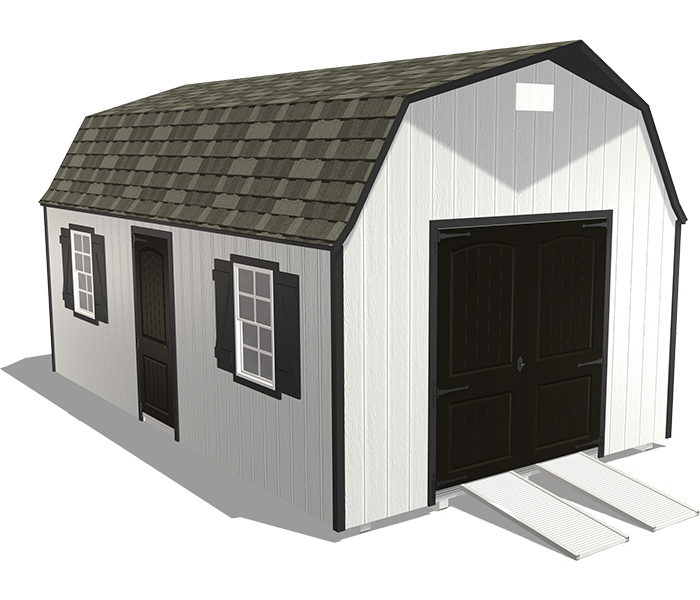 Our Garden Shed XL Package is a backyard shed that meets the same need as our standard Garden Shed Package—it’s just larger and comes with a few more features including a second door and built-in loft. 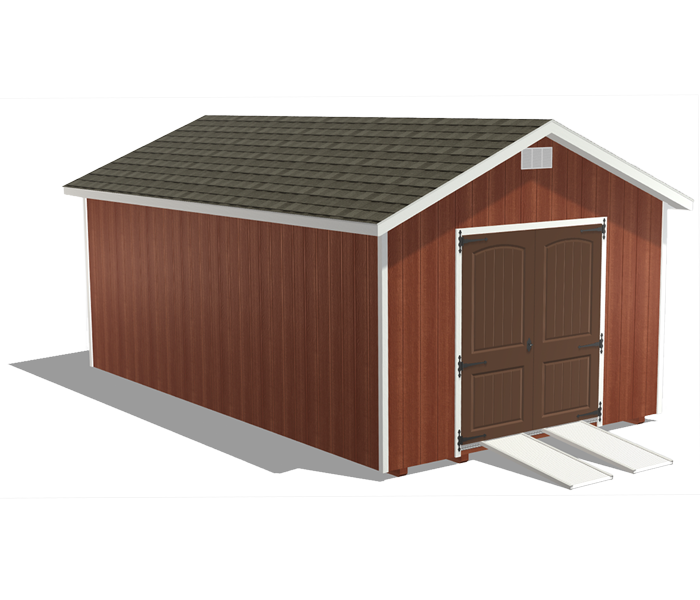 This shed is ideal for storing lawn & garden equipment and so much more. 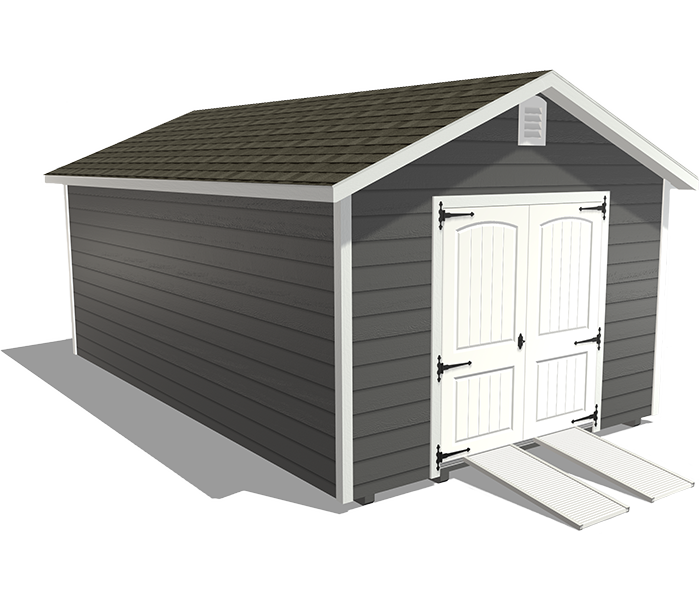 Having an extra-large backyard garden shed provides optimal storage for all your garden supplies and equipment. 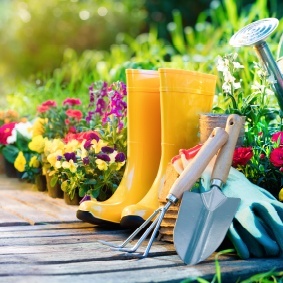 Store machines, large pots, bags of soil, hand tools, and all of your other gardening gear in a secure and dry place. 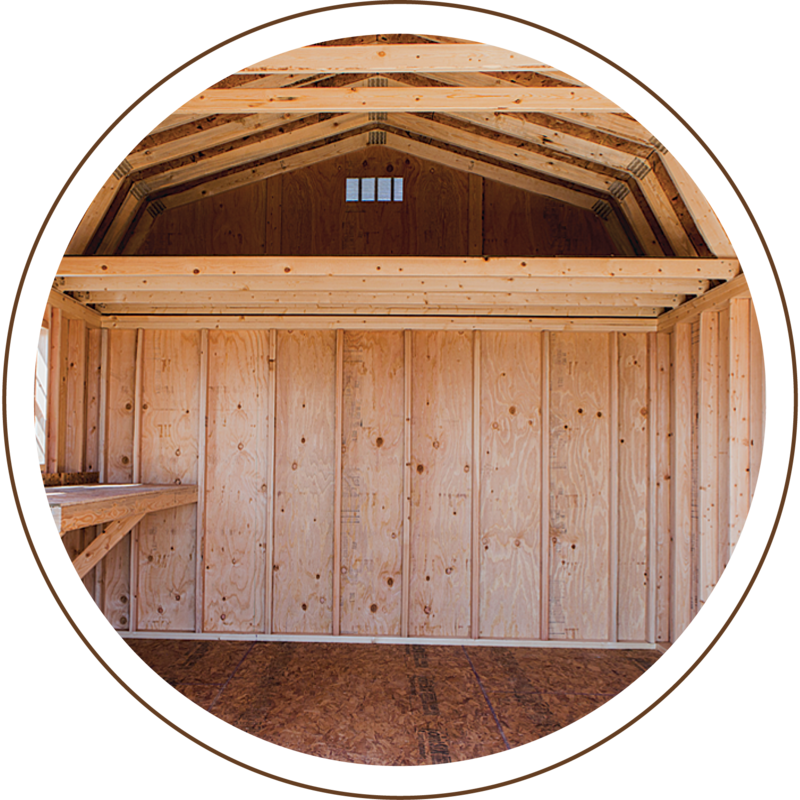 The built-in workbench gives you plenty of tabletop space, and the loft provides extra storage. 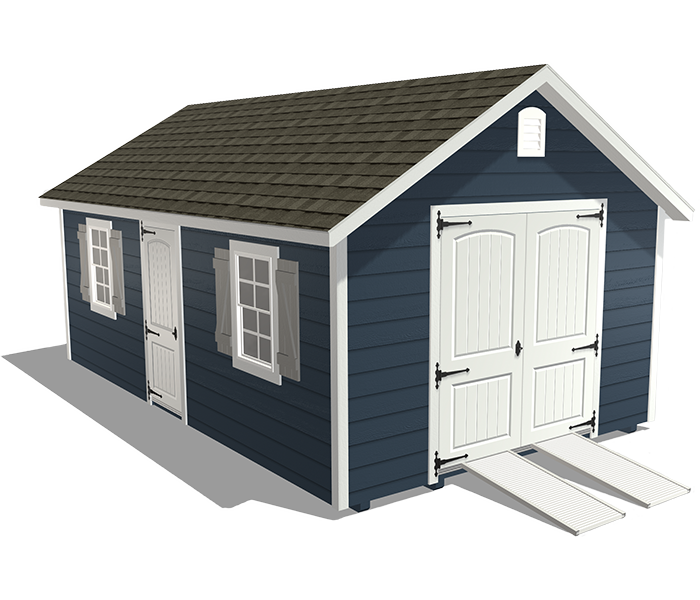 Plus, the low-maintenance siding, color contrast trim, and window shutters complete the look of this charming backyard garden shed. 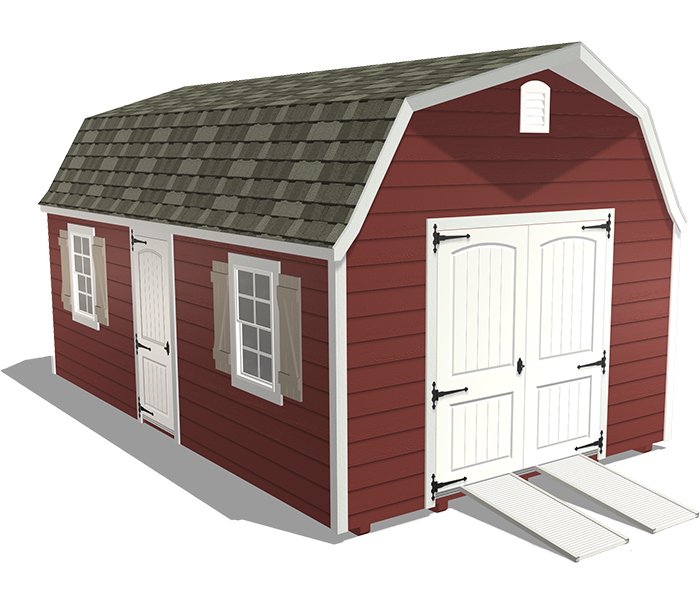 This extra-roomy backyard shed is perfect for storing all of your lawn care items like lawn mowers, power washers, and ladders. 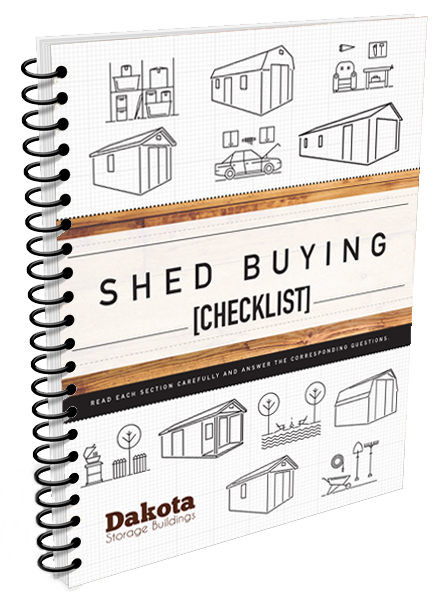 There’s also room for bicycles and plastic storage bins. 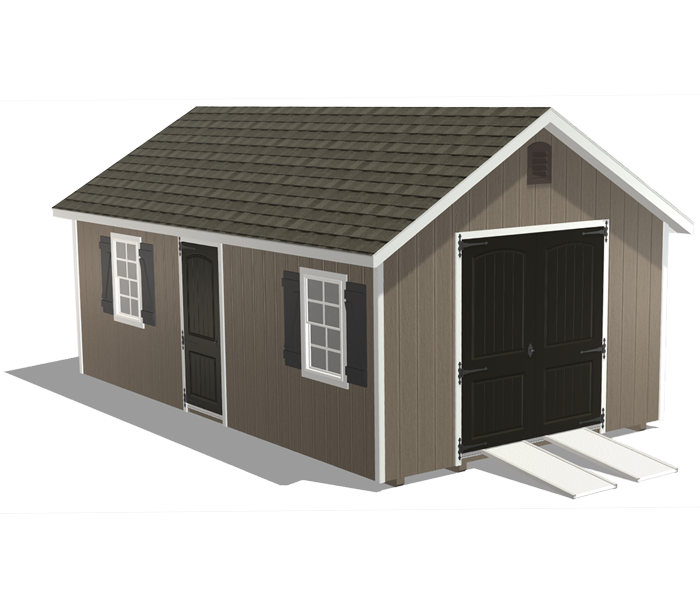 The ramp makes for easy and convenient access. 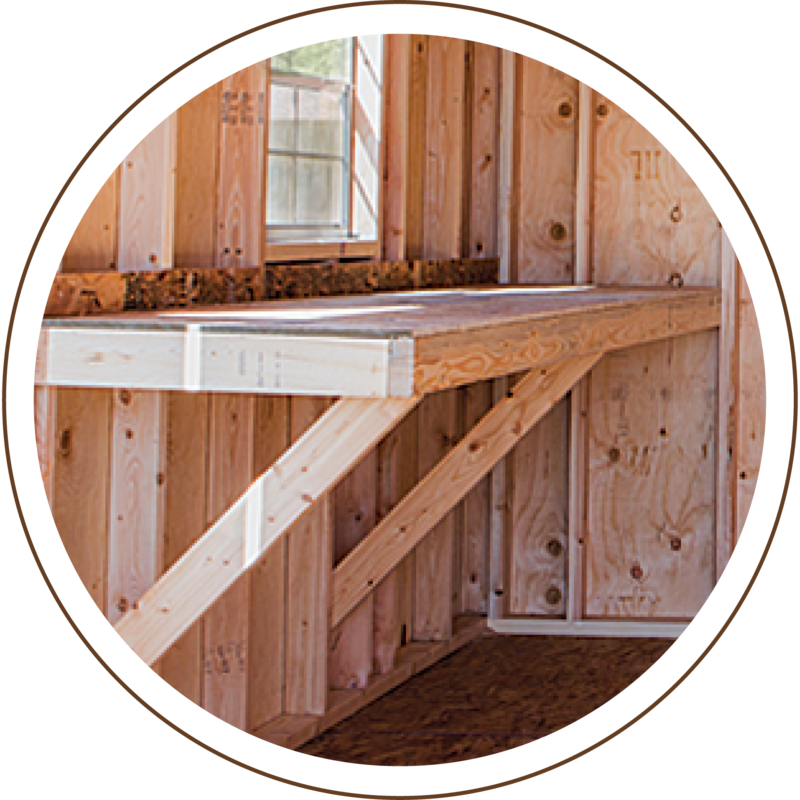 The built-in workbench provides a place to organize small items like nails and screws, and the built-in loft gives you extra overhead storage space. 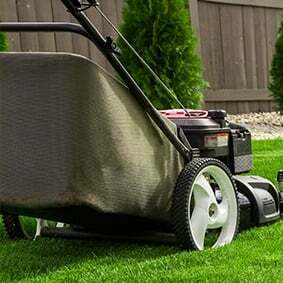 Plus, it blends effortlessly into any backyard. This workbench can be shelf storage or a sturdy table-top workspace. 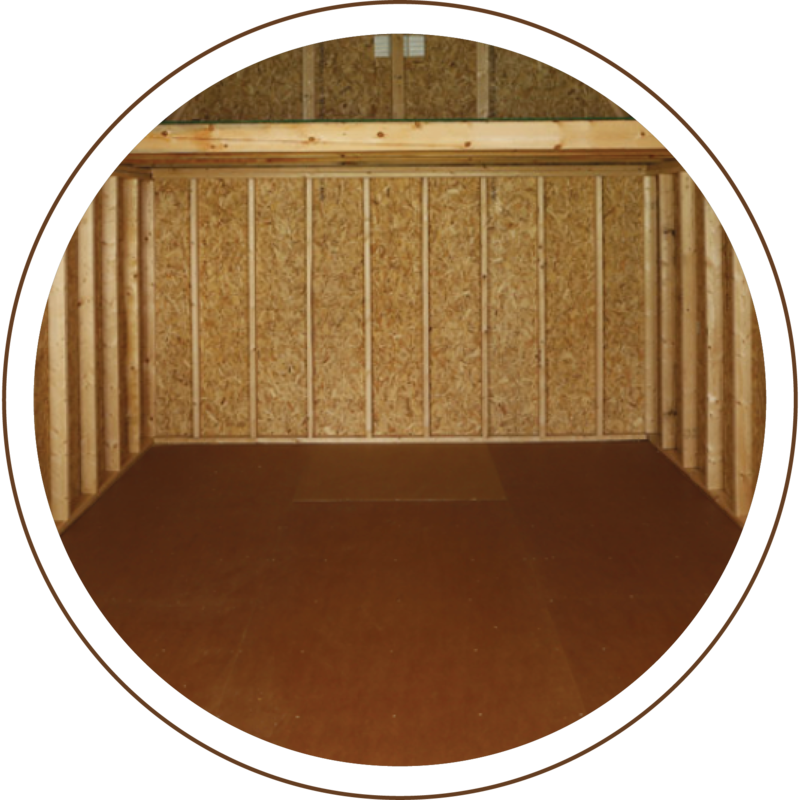 This clean and durable overlay resists water damage, warping, and splitting.